First of all, let’s compare 3.2 and 3.3 directly – first up: article display. You might not immediately notice the different when viewing articles, but we’ve tweaked and changed to look to have a more uniform style by default with less visual clutter. 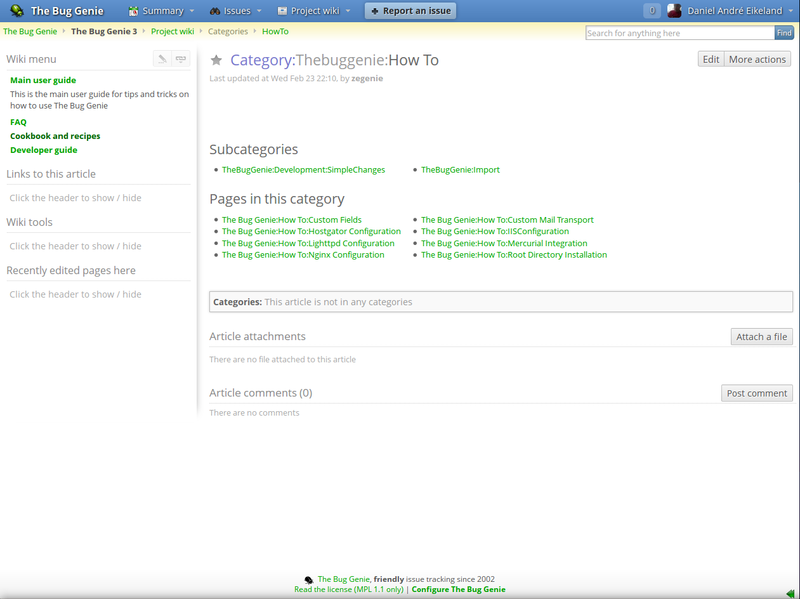 Both the left hand menu and the top right article menu has been changed to not steal attention, and the header and layout of the article has been reformatted to be more visually appealing. Instead of four tabs at the top right, there’s a quick link to “Edit” (the most used action) and a dropdown to access other actions. Not really much to say here, it looks the way it looks. There’s a lot going on, buttons with a lot of color, and in general not a very appealing page to look at, or work with. 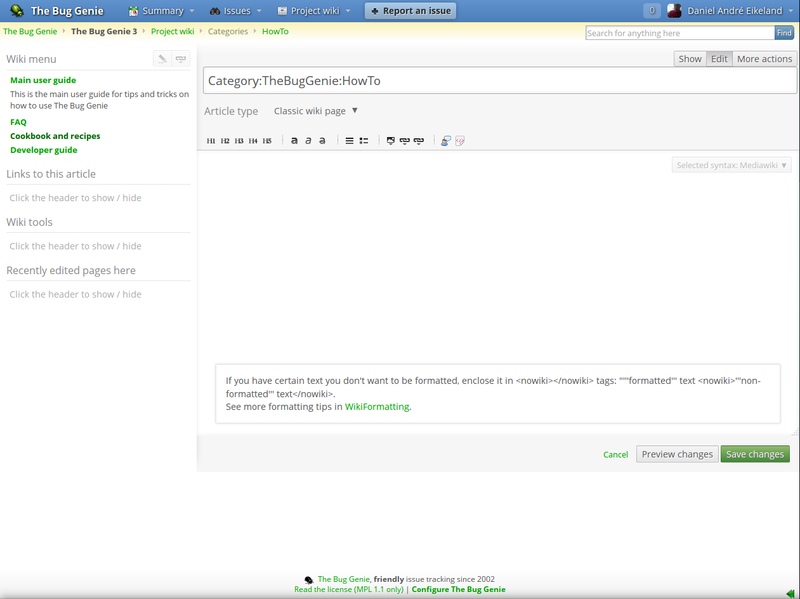 In 3.3, you will notice the layout is much cleaner, with more focus on actually editing the article. All unnecessary elements have either been toned down, removed or rearranged, and the layout now looks more like an actual article edit page. 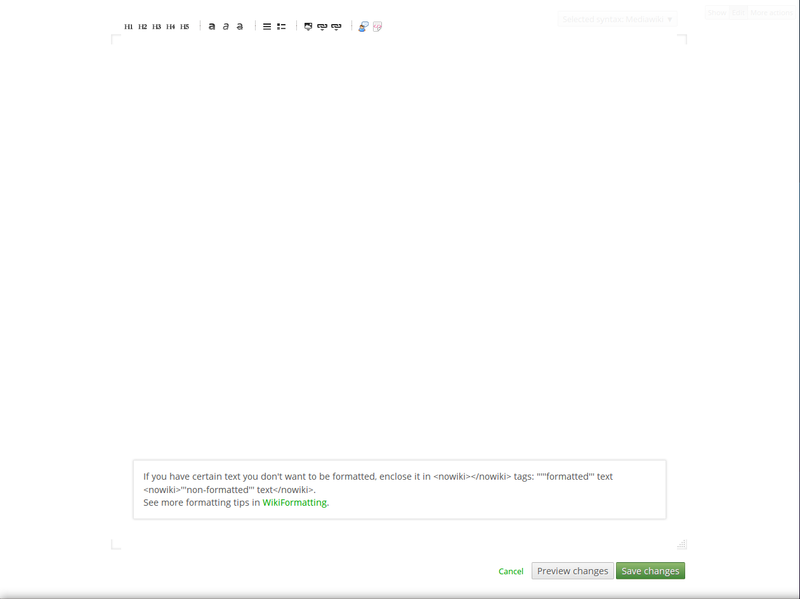 In addition to this, we’ve also added a new editing mode that lets you focus even more on that task at hand – writing. 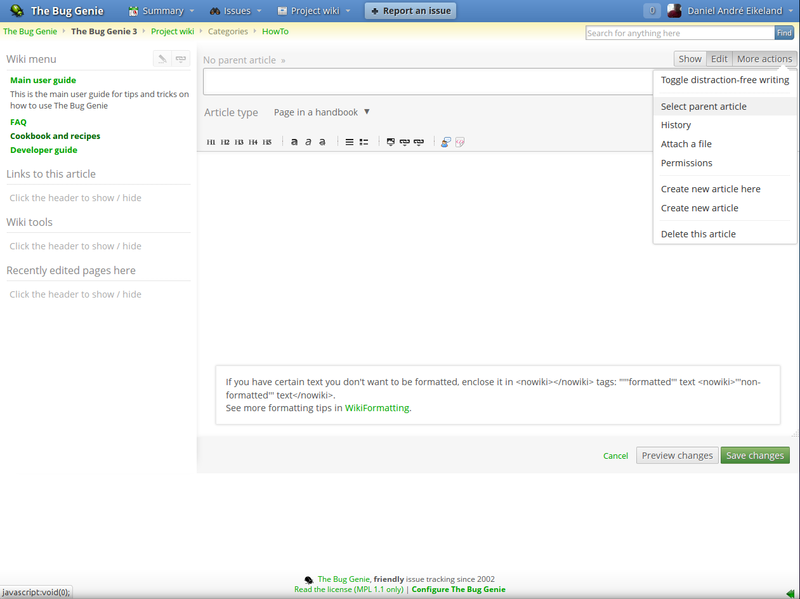 In this mode, you can focus solely on editing the page you’re on. Switch back from the top right menu, which fades back into focus as soon as you try and access it. Another thing that was tweaked is that the “Change reason” box now only shows when you actually try and save the article. 3.3 change reason popup. Press “Enter” to just save without any message. In 3.3, we’ve introduced two wiki “modes”. 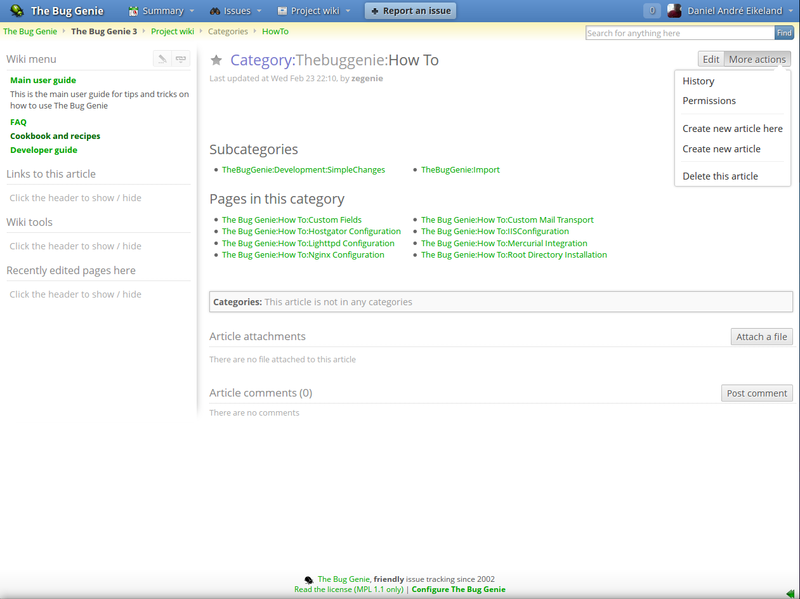 One that lets you just write wiki articles, categorise and arrange them as you please, and create links within articles or via a simple left hand menu. The second mode is what we call a “Handbook page”. 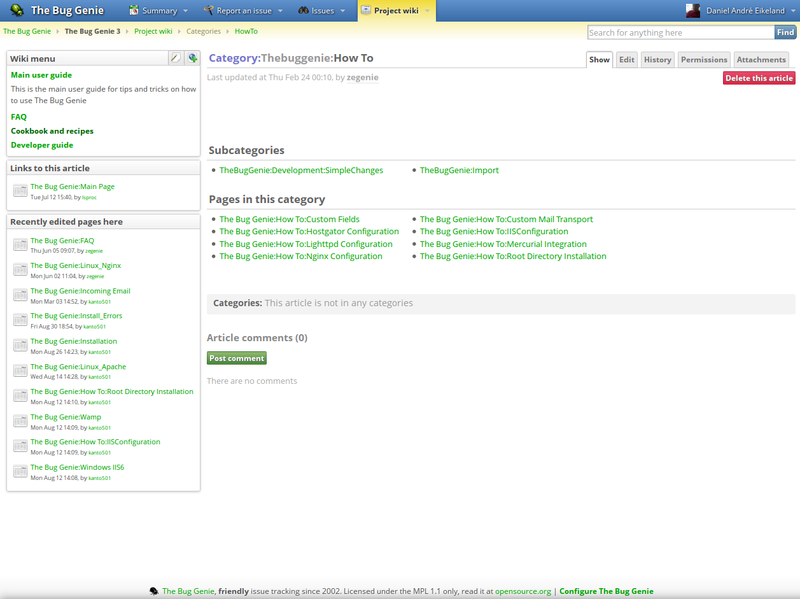 This lets you create any number of “Handbooks” – with their own book-style left hand menu, and hierarchical structure. Articles of this type either have parent articles, or have no parent articles if they are the top level of a handbook. 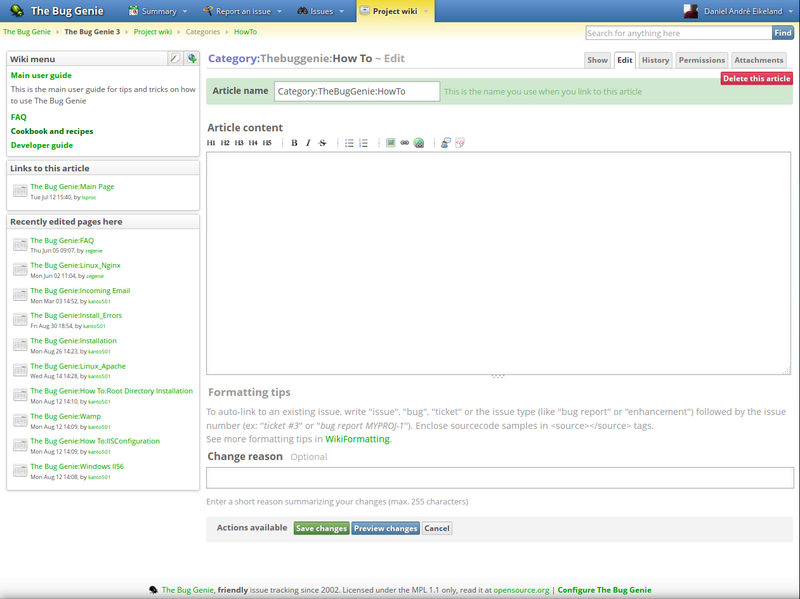 A new menu entry lets you select the parent article. 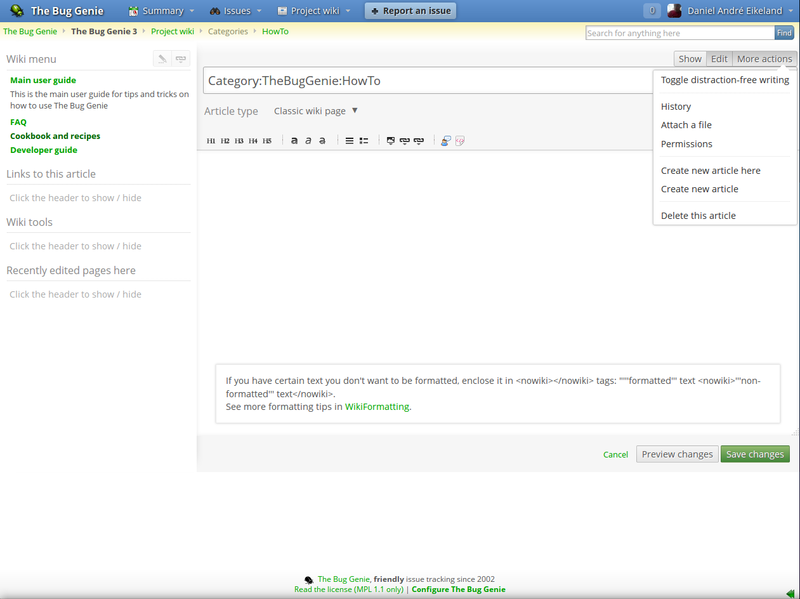 Articles with child articles are shown as folders in the handbook tree, and articles with no child articles are shown as standalone articles. 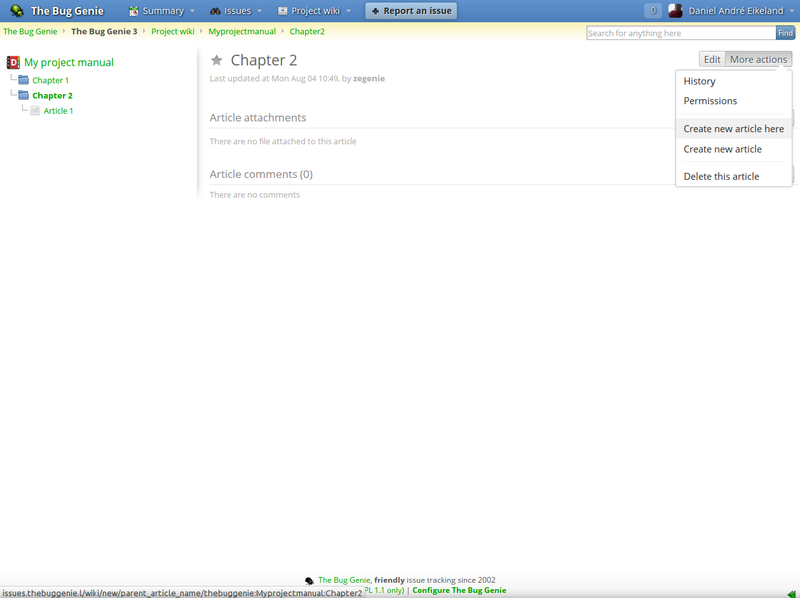 You can create a new page straight into a chapter, too, by using the new “Create new article here” entry in the “More actions” dropdown menu. We hope you like what we’ve done with wiki editing in 3.3, and we’re very excited to see how you will use these new features in your own projects. As always, please comment below for feedback. Compliments on the handbook feature! 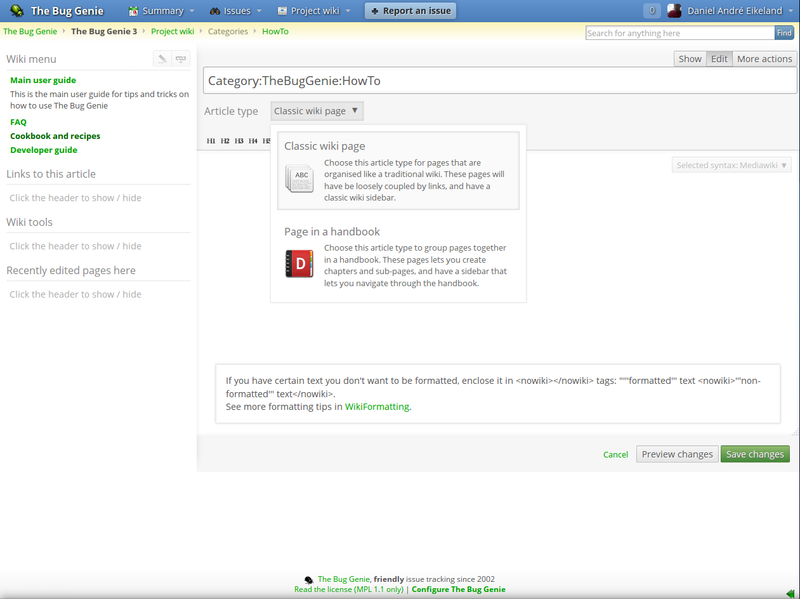 This makes it way more easy to create and maintain a structured overview of my project features. Would it be an option to somehow integrate it with components / issues? 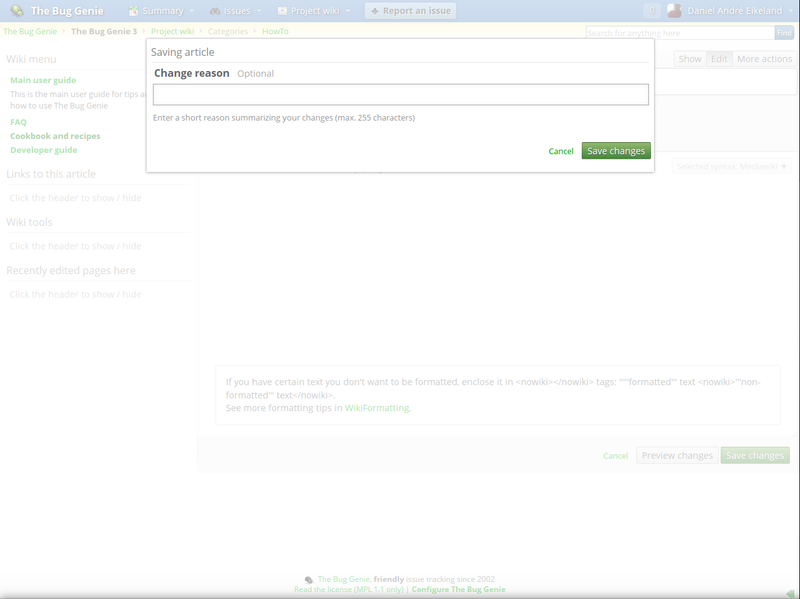 For example to make it easier to create/maintain changelogs? Sure, how would you imagine such a feature implemented? Something like a “related cookbook article” field on issue, component and/or release level. In that way the handbook could be different for each version and contain different screenshots per version. The related issues could be shown as a list at the bottom of an handbook article. More important is that it can become possible to have a link in an issue where documentation about the changes of that issue are located. Even more awesome would be to somehow be able to add “documentation required” to the issue workflow. Hereby you could force developers to improve the assigned documentation before they are able to make the issue ready for testing.